We had a lovely lunch with our lovely friend Brigid at Otto today. It's not in our regular dining radius, though not so far away either, but since we don't go often I can never resist the chance to have the carbonara that I love oh so much. 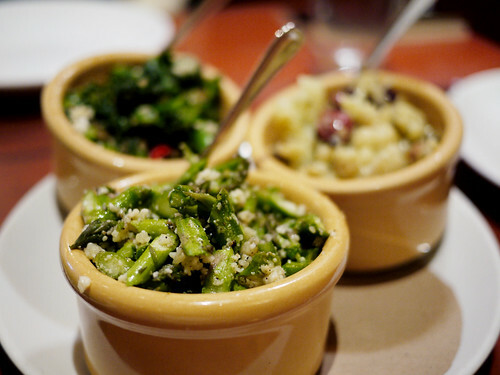 Brigid ordered an array of small vegetable dishes so we ended up sharing pretty plates filled with romaine salad, asparagus, cauliflower and brocoli rabe.